Greetings, fellow travellers! 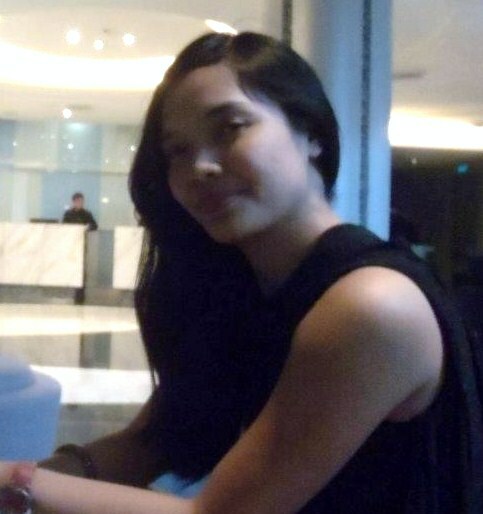 I am Cris Reyes, a 20-something all-around traveller and extreme adventure enthusiast. “Your looks are deceiving” is the most common comment that I receive from people. While I might appear sickly most of the time (because I actually am), I have had my share of extreme adventures in the field of travel. Because of my sickly nature, my motivation and goal in life is to try everything while I still can, and it led me to climb Mt. Apo, Philippines' highest peak, scuba dive (even if I don’t know how to swim), do zipline in various positions in many Philippine destinations, and bungee jump (or at least a simulation of it). I feel lucky to be living in the Philippines because the country never seems to run out of new adventures to try. I believe that “love conquers all”, and my love for adventure made me conquer my dream activities and destinations. I do not just love to travel, I love to create my own itineraries no matter how time-consuming it may be. If time-constrained, I’d stick to a tour package but I make sure that I get the most of what I will spend for, hence, I spend hours, days, and months over the internet to research on the best tour package there is. I believe that if I can do it, so can you. Now, I’m going to share my favorite extreme adventures in various destinations so far (in chronological order). 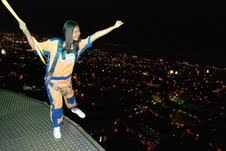 These extreme activities are located at the 38th and 39th floors of Crown Regency, Cebu. We did Edge Coaster in the afternoon and The Skywalk at night. The Edge Coaster is a ride where you would be tilted down from the edge of the hotel’s 39th floor – a unique way of enjoying a breathtaking view of Cebu City, while the Skywalk allows guests to walk on the glass-floored edge of the 38th floor supported by a harness. They provide certificates after conquering the activities. E.A.T. Danao is an adventurer’s haven. 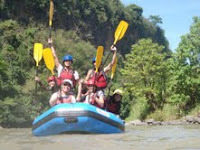 We availed the package that includes the above listed activities, but there are others to choose from like river trekking, river tubing and spelunking. Being able to be suspended head-first on Danao’s The Plunge would be one of my favourite adventures in life. 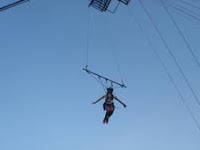 It was located at a cliff and it was the closest to bungee jumping that we have in the Philippines. In exchange for the seconds when I seemed to lose my heartbeat, I was able to get a certificate that specially indicates that I did it head first. I dreamed of this before, literally, and the moment I saw it, I knew I had to do it. During that day, it was the only ride in Ocean Park that had no queues. I didn’t get to convince my friends to try it with me but I badly wanted to try it so I went alone. 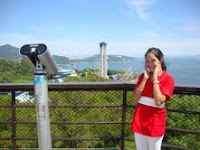 The ride will raise you to 185 feet, let you free-fall thrice, in different levels, with the vast ocean in view. Being able to set foot on the world-renowned rice terraces is a delight in itself. What more if you need to trek for two hours to get to the Bomod-ok Falls, one of Sagada’s greatest treasures? The ascent after enjoying the falls was quite exhausting though. Mount Pulag is the highest mountain in Luzon, at 2,932 meters above sea level. Its summit boasts of a magnificent sea of clouds that could not be found anywhere else in the Philippines, and it was our group’s main motivation to climb. However, we were just greeted by thick fog and a freezing -4°C summit. It couldn’t be helped since we climbed on the last days of January when there were reports of dying crops in the Mountain Province due to snow. For the best chance to experience the sea of clouds, climb during the summer months (March or April). That’s what I’ll do next time! 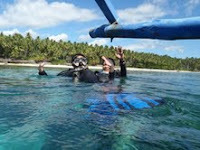 Scuba diving is the best way to enjoy Samal and its colourful underwater scene. At least, for a minute or so, I was able to scuba dive though I do not know how to swim, thanks to my personal guide who was holding me the whole time. It was a 6-hour event which consisted of 15 rapids, including a “washing machine” rapid that resembles water movement in a washing machine, and a “kiss the wall” rapid which will send your raft almost kissing a huge rock. We did it in February, a summer month, so our raft had the least probability to capsize. They say that if you want to maximize your adventure, do it on the rainy months of July to September. They said that Catanduanes is Bicol’s best kept secret, and it actually is. Unfortunately, this province is always frequented by typhoons so tourism has yet to flourish. Nonetheless, the caves, falls, and beaches of Catanduanes are nothing but awe-inspiring, and its remoteness adds to its appeal. My most unforgettable experience there was our adventure-filled day that included beach, caves and falls hopping guided by an adventure group. They were all so kind and the highlight of that day was a 30-minute trek to a double-layered waterfalls that they just discovered. 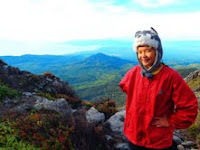 Though Mount Palay-Palay was just a minor climb, it was so strenuous and there was a part near the summit where you had to crawl and there were no vegetation to hold on to. 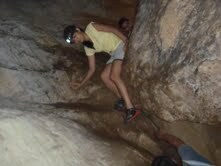 Adding to the difficulty was the heat and the lack of a water source. To complete the adventure story, we were only three females then, all first-timers in that mountain, and we didn’t hire a guide. This is one of the mountains with a 360 degrees view from the summit. Mount Apo, at 2, 956 meters above sea level, is the Philippines’ highest peak. We climbed on a summer month but the world never runs out of surprises and it rained non-stop on the days that we were there. During our second day, we trekked for 14 straight hours – from the fields, to the rainforest, to the boulders with sulfuric vents, and were so glad to reach the campsite to rest. We were only starting to arrange our stuff in the tent when the rain fell heavily, and it never stopped raining the whole night. The tent was not able to protect us from the strong rain and us and all our belongings got drenched. We were not able to sleep and were freezing wildly the whole night. We were just so thankful to conquer it and were overwhelmed to see the magnificent view in the morning. This was a DIY trip to what could still be considered an off-beaten destination. We arrived at the location for the island hopping at Tres Reyes Islands with nothing to expect; good thing we found a boatman that offered to take us to the islands. 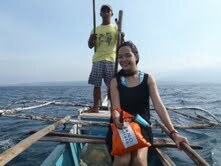 He had a basic boat used primarily for fishing hence he had no life vests to offer. 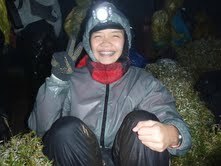 To complete the experience, it was during a rainy month, and the waves were as strong as they could be. This is an adventure experience in the heart of Metro Manila. ZoomTreetop Adventure offers zipline, Silver Surfer ride and parachute fall ride. We availed of the package that includes all three adventures and the parachute fall ride was my favourite. It was a free fall ride that simulates a parachute experience. On my second time in Sagada, I was able to do cave connection – a five-hour spelunking experience from Lumiang to Sumaguing Cave. What’s good about this? It does not only test your endurance but also allows you to see and feel the spectacular stalactites/stalagmites structures that only found in Sagada. Ever since I watched this in The Amazing Race Asia, I badly wanted to go to Singapore for this reason alone. These two rides are equally challenging but offer a very different experience. The G-Max Reverse Bungy sends you up 60 meters in an instantaneous motion that resembles free fall, only done in reverse. The GX-5 slowly takes you up in the air until you reach a certain angle and height from the ground, and then one of you has to push the lever to send you plunging down. There are lot more thrill in my adventures. Things that I didn't know I can do. While it may be more convenient to opt for package tours, I'd strongly suggest preparing your own itinerary. It adds a sense of ownership and intimacy to your travel, plus the preparation in itself is an adventure as there would be innumerable options to choose from and as you research, you'd probably be amazed with discovering locations not included in package tours. DIY tours are also often cheaper. But if you still want the convenience offered by package tours, exert time and effort and you'll find the best deals in the internet. My love for travel and adventures which delivered me to the Philippines' highest peak made the love of my life find me, and it definitely added more fun to travel because I now have a default travel buddy who is as equally adventurous as me. I'm now returning the favour to the world in my own little way by sharing my travel and adventure experiences, as well as self-made and tested itineraries through blogging. I'm willing to help create new itineraries, too. You are such a unique traveller Cris, so I believe your extreme travel experiences are worth sharing. Keep on travelling and blogging about it.